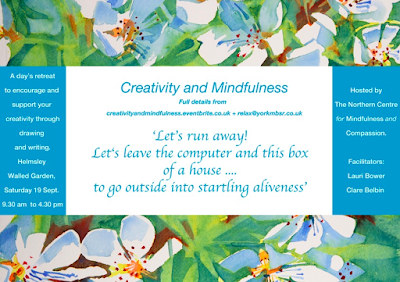 Creative Living: Creativity & Mindfulness - a great combination! Two day retreats coming up. Saturday September 19th in Helmsley Walled Garden -https://mindfullyinhwg.eventbrite.co.uk. 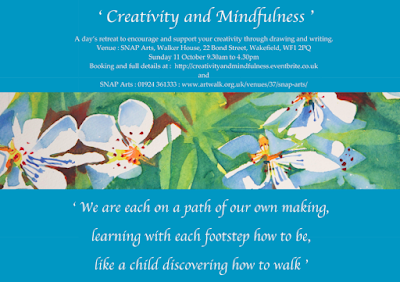 Sunday October 11th at SNAPArts in Wakefield -https://creativityandmindfulness.eventbrite.co.uk. 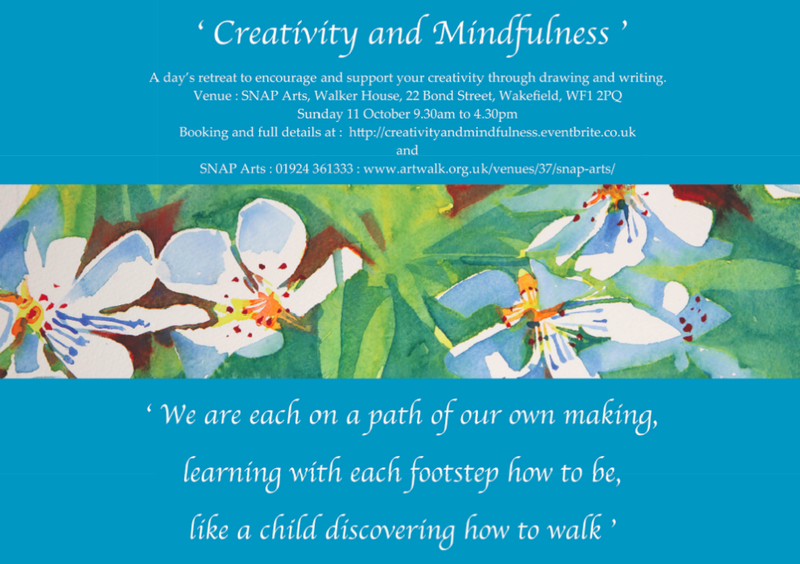 We offer a day’s retreat - 9.30am to 4.30pm - to encourage and support your creativity through playful drawing and writing, with mindful practice as our foundation. Mindfulness is simply being aware of our attention in the present moment, with acceptance and without judgement of what we find there. Practising the qualities of mindfulness - patience, trust, openness - we will enable you to explore your own creativity playfully, but without looking for an end result at this stage. Our professional guidance in drawing, poetry writing and mindfulness will be offered throughout our day together, and will include a mindful approach to eating a delightful lunch. Our retreat is devoted to anyone who wishes to explore mindfulness as a fresh approach to creativity, which can be expanded to all areas of life. We especially encourage those terrified and afraid of drawing or writing as mindfulness offers a gentle and non-judgemental approach to these creative aspects. Our tuition will include a full range of craft skills and technique so that beginners and more experienced practitioners alike can enjoy the retreat. Lauri Bower - poet and mindfulness teacher. Clare Belbin - artist.